Penelope Ironstone tried to have just one vacation away from her research. The associate professor of communication studies at Wilfrid Laurier University was headed to Cuba with her family and decided to do some casual reading. She picked up World War Z. Even her leisure reading led to another theory. Ironstone came to the conclusion that society’s fascination with zombies and the “zombie apocalypse” is correlated with anxieties of contagion and bacteria. “The zombie is something that has been there, not as a primary feature of my research, but as a secondary feature to help me articulate and explain how pandemics operate and how our anxieties are revealed,” she said. According to Ironstone, popular culture “speaks to our desires and it speaks to our fears,” and it allows people to understand how to deal with those anxieties. “There’s something about microbes that seems to be preoccupying us,” she explained. Ironstone began to look into theories involving influenza and flu pandemics around 2004. She was intrigued that since the mid-1990s, people have been surrounded by a large amount of caution about pandemics and fear that “hundred of millions of people can die” from them. She found that public health research was communication and media based because humans fear the “alarm” that will trigger a pandemic. Using her interest in popular culture and public health, Ironstone began to look into how a symbolic figure, such as the zombie, related to how people felt about germs, bacteria and pandemics. She took the question to her fourth-year seminar course, Risk and Communication. Popular culture is not something that is just frivolous. It’s not just entertainment. It is indeed something we have to take seriously because it’s a place people learn about these things. She related to movies such as Shaun of the Dead, Zombieland and World War Z, television shows such as The Simpsons and expressed how present-day viruses such as Middle East respiratory syndrome, H1N1, tuberculosis, polio and mad cow disease make humans fear being unprepared for an outbreak. Ironstone also became involved in a workshop called Research Matters, where she made a short video explaining her theory. The video was created when the organization received a question asking what the most probable cause of a zombie apocalypse was. “I’m going to be known as the zombie woman as opposed to the flu woman,” Ironstone joked. The reason people are becoming more concerned with contagion outbreaks, Ironstone believes, is because of the way humans organize themselves. With increased travel and more connection with people around the world, viruses don’t get contained in areas the same way as they used to. 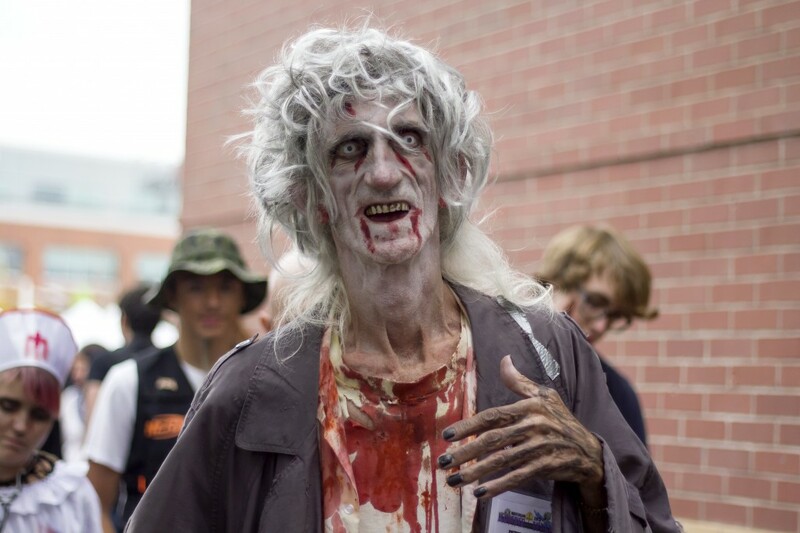 “Zombies can explain that fear of rapid movement too,” she said. Ironstone hopes the next movement for her theory in anxiety and pandemics will be to explain how anxiety is expressed, while still relating to the use of popular culture. She noted an element to fear that she calls the “not me, not here, not now” theory, where people refuse to acknowledge that something is going to happen. “The zombie was an opportunity to speak to a different audience, but it really does nail and hit the heart of a lot of the research I do,” she said.